A Tailored that will fit you perfectly is a dream for everybody. We want to help you achieving that dream by creating your own Grey Mao 100% Wool Suit. We provide you with the design and you choose if you like it or if you want to change the details with our online configurator. 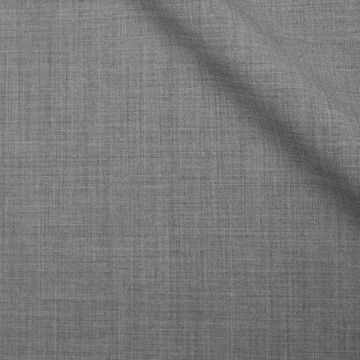 This Tailored Grey is made of pure-wool , it helps you stay warm during those cold winter days. Pure Wool is perfect for your because besides that it keeps you warm it's also strong and durable. Your Grey Mao 100% Wool Suit would be completely made to your likings and measurements to make sure it fits you perfectly. Thanks to our high quality control and experience we can offer you a perfect fit guarantee. If you want to know more about our Perfect Fit Guarantee read here. Hockerty is the fastest made-to-measure company in the world. Our customers all around the world enjoy FREE SHIPPING on orders over £99. "I’m obsessed with this floral shirt"
Founded in 2008, Hockerty is the e-commerce leader in tailored suits and tailored shirts, as we offer our customers complete freedom to design their own clothes by choosing from a wide range of styles and fabrics.